The CoRoT spacecraft is approaching the end of its scheduled mission, but the space telescope’s rich haul of discoveries has left everyone wanting more. In concert with its partners, CNES has therefore decided to extend operations until 31 March 2013. 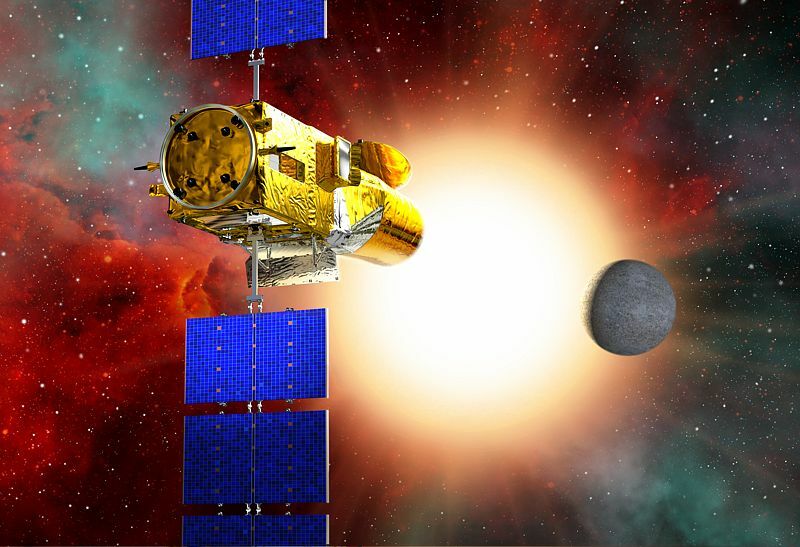 The CoRoT spacecraft detects an exoplanet when it crosses in front of its parent star. Credits: CNES. CoRoT’s great strength is its remarkable sensitivity. Its sensors are capable of detecting the tiniest dips in the light emitted by stars, as little as 1/10,000th of their brightness. Some of these variations reveal the inner workings of a star. 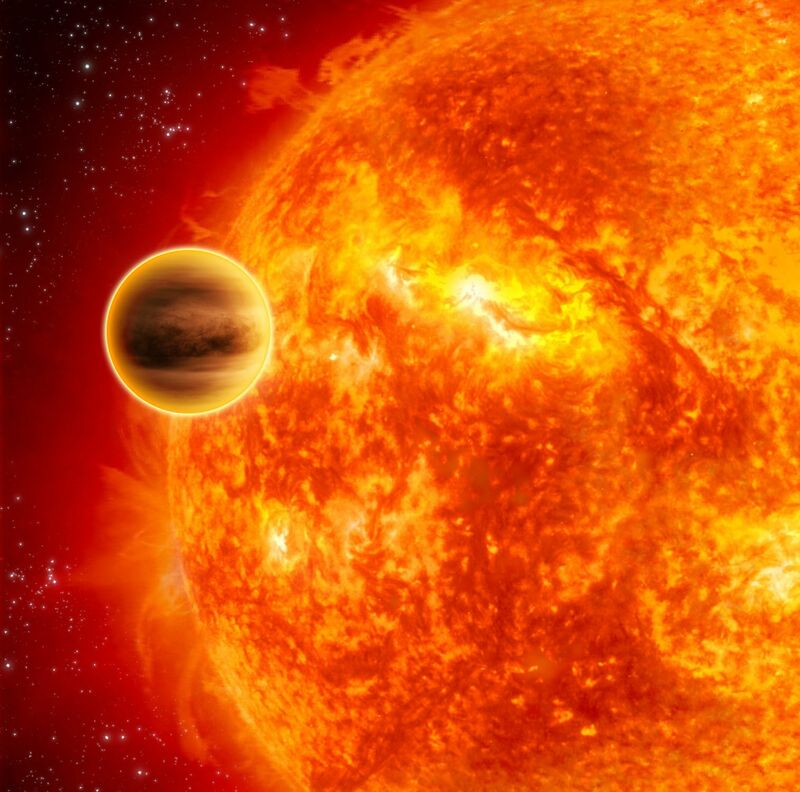 Others are the sign that a planet - an exoplanet, to be precise - has crossed in front of the star. Like our own Sun, stars vibrate. Credits: Observatoire de Paris/UFE. CoRoT’s rich three-year harvest of data has shown scientists that our Sun is not the only star that “sparkles”. They have also discovered that certain stars much older and more massive than the Sun, for example red giants, also vibrate. Another pleasant surprise is that CoRoT has proven very good at detecting small exoplanets, those more like Earth than Jupiter. Cover of the October issue of the European review Astronomy & Astrophysics, devoted to CoRoT. Credits: European Southern Observatory. Statistically, we expected CoRoT to make new discoveries. But it was the first space mission designed to hunt for exoplanets and the first to use the planetary transit detection method,” recalls Olivier La Marle. “We expected some surprises and we weren’t disappointed!”. 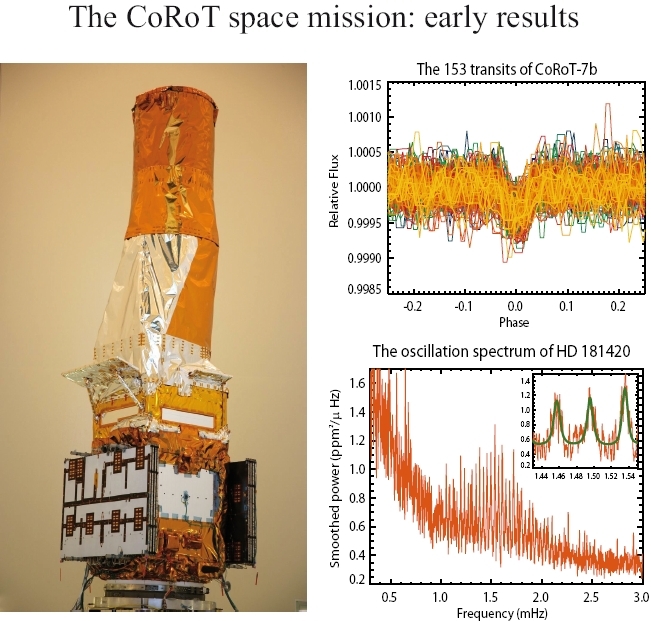 To salute CoRoT’s achievements, the Astronomy & Astrophysics review published a special issue on 22 October 2009 devoted to the spacecraft’s scientific results. But CoRoT isn’t resting on its laurels, with an already packed observing programme planned for the 3 years ahead. The hunt for exoplanets continues. Credits: NASA. The shorter a planet’s orbital period (2), the greater its chances of crossing in front of its star and being picked up by CoRoT. Scientists are betting that we ain’t seen nothing yet! (1) CNRS-INSU and the Observatoire de Paris, Austria, Belgium, Brazil, Germany, Spain and ESA. (2) The time it takes a planet to orbit its star.